Are you looking for a book to help your children prepare for Christmas? 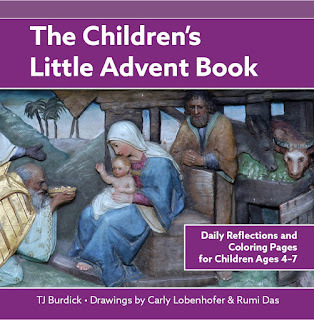 The Children’s Little Advent Book by T.J. Burdick is a great resource to use for family prayer time. 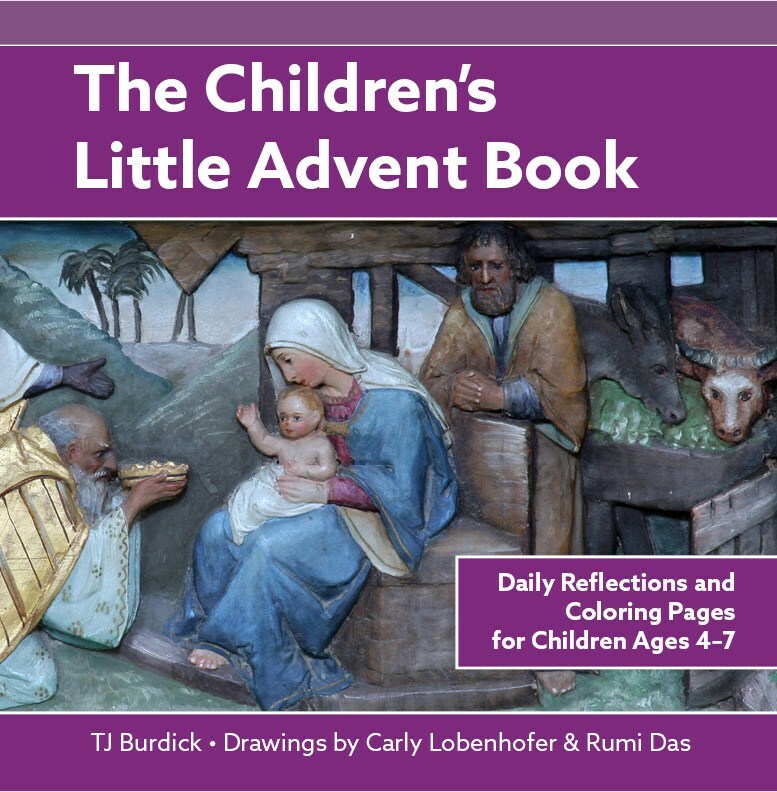 Each day of Advent features a Scripture passage, reflection, prayer, and a coloring page. While the book is advertised as being for children ages 4 – 7, I would recommend it more for those age 6 – 10. Many of the reflections and prayers are great for teens and adults as well which makes it ideal for using in a family with children of varying ages. Younger children could color in the pictures during prayer time. 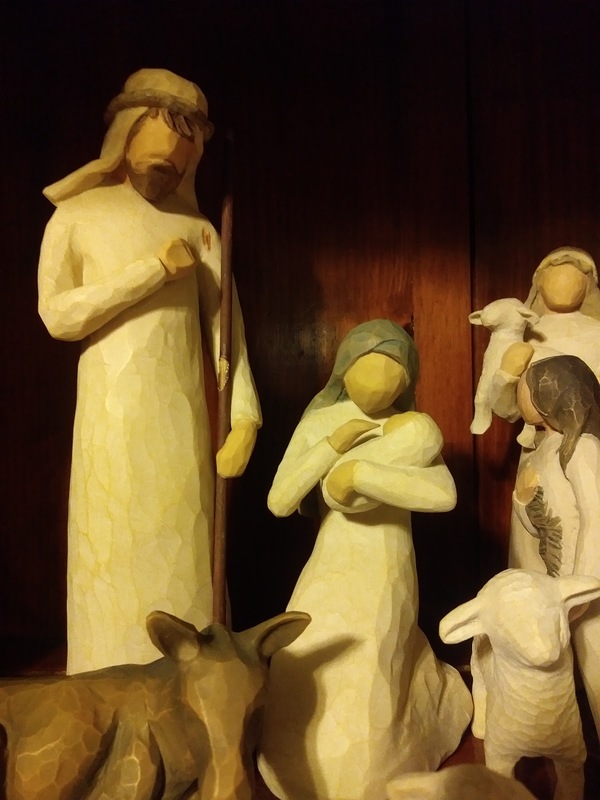 It could be used for morning prayer during Advent or whenever the family might light an Advent wreath during their day. Regardless of when or how it is used, this book will help your family focus on the true meaning of the Advent season – getting ready to welcome Jesus into our world and our lives. Are you addicted to your smartphone? Are you willing to admit it? According to recent statistics, the average adult spends almost three hours a day on their cell phone (the equivalent of a 20 hr/week part-time job). T. J. Burdick realized he had a problem when he was using his cell phone while his wife was in active labor with their third child. He soon began to notice that everywhere he went he saw people with their heads buried in their phones. Burdick is quick to admit that technology in itself is not bad. It is the over-attachment to it that causes problems. 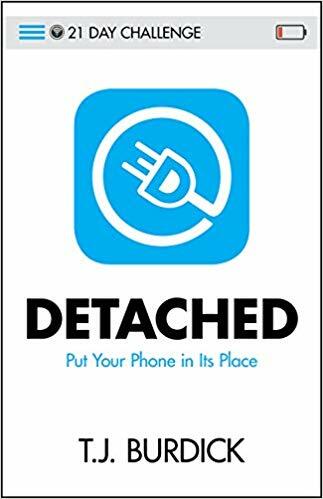 In Detached: Put Your Phone in Its Place, Burdick offers a three week retreat to help smartphone addicts regain a right relationship with technology. He also offers additional resources at detachedlife.com. In the course of these twenty-one days, Burdick invites readers to take an honest look at their smart phone usage. While he acknowledges that in our modern world, we can’t put it away entirely, he encourages us to use our phones productively, rather than use them to literally waste time and feed our particular vices. The devil seeks to keep us from God and a phone is a “Pandora’s box of limitless temptations.” Our phones are often keeping us from what we are meant to be. Burdick suggests ways to keep our priorities in order, putting God (the source of all true happiness) at the top of our lists. We need to be mindful of how we spend our time. We need to pay attention to the triggers that encourage us to pick up our phones. We need to replace tech time with higher pursuits. We can even learn to embrace those moments of boredom that occur in our lives as a gift, rather than as an opportunity to mindlessly scroll through social media. 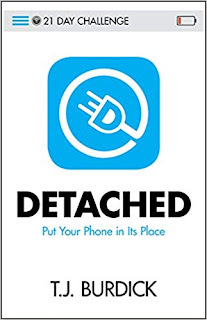 Detached is an important book in our modern, tech-driven world. Burdick has much sound advice to offer. If you feel like your phone is taking up too much of your life (or if others are telling you that you spend too much time on your phone), I encourage you to pick up a copy of this book and get yourself on the path to a more balanced, God-centered life. 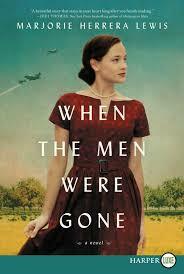 This weekend’s leisure reading was When the Men Were Gone by Marjorie Herrera Lewis. Lately, there has been a great increase in the number of works about little-known women who changed history in both big and small ways. I enjoy reading about these historical figures and learning their stories. This tremendous story of courage and perseverance features Tylene Wilson who became a high school football coach during World War II. She learned the game of football from her father when she was a little girl and had a lifelong love of the sport. In 1944, she was Assistant Principal of a high school in Brownwood, Texas. When the coach leaves to fight in the war, there is no one left to lead the team. Tylene tries to find a male, any male, to coach but none are willing. The general feeling is that the season should be cancelled, but Tylene knows that football is the only thing standing between the seniors and signing up early for the fight. She knows that they will most likely need to go to war, but she wants to give them one last year before they have to face that battle. 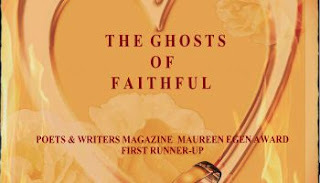 Desperate, she takes it upon herself to coach, facing a great deal of opposition in the process. The author, who was deeply inspired by Tylene’s story, has been a beat writer for the Dallas Cowboys as well as a member of the Texas Wesleyan University football coaching staff. This is a short book, perfect for enjoying in a weekend (I love those kinds of books!). If you enjoy football or inspirational stories of courageous women, you’ll enjoy When the Men Were Gone. I recently posted a prayer for vocations. Our Church is in such desperate need for young men and women to answer the call to religious life. But, in today's world, even after a young person answers God's call, there is often another impediment to entering the seminary or novitiate: student loan debt. The Laboure Society helps these young people raise the funds to pay off their debts so that they can be free to enter religious life. The society's vision is "a world where Catholic priests, sisters, and brothers exist in adequate numbers to fill the world's needs, where young people everywhere who feel they are called to the priesthood or religious life have the opportunity to pursue that calling." Liturgical Year 2019 is the Year of Vocations. My Diocese of Springfield, MA will be praying the following prayer at all Masses beginning in Advent. Lord Jesus, please provide our diocese with many vocations to the priesthood and religious life, especially from our own parishes. May the men and women you call respond with joy and courage, and may their families and friends support them wholeheartedly as they seek your Father's will. We ask this through the intercession of Mary, Mother of Vocations. Amen.